It was a response to the many changes that MoviePass had made to its service in the past year, and particularly in late spring, when the subscription service altered its offerings from a movie-per-day plan to four per month and an “extended trial subscription” to iHeartRadio, a thing nobody seemed to have asked for. The company quickly reinstated its standard plan in early May, with CEO Mitch Lowe claiming that “we never planned to abandon the flagship product that everybody loves,” and that the short-term change was a promotional tool. MoviePass users sighed with relief, but also a bit of trepidation. And that trepidation felt justified when, in July, MoviePass announced it would be instituting “peak pricing,” apparently modeled on Uber’s surge pricing model, in which particularly popular or in-demand movies would incur an additional cost of between $2 and $6, depending on some algorithm and charged to the user’s credit card. And then, at the end of July, the service briefly stopped working because it just ran out of money, requiring an emergency transfusion. When it came back, movies like Mission: Impossible — Fallout weren’t even available, leading to speculation among users that it was on its very last legs. If you’re starting to doubt at this point that MoviePass really has a long-term plan, you’re not alone — after all, the current $10-per-month plan (plus peak pricing) is just the latest in years of retooling from the company, which has at various times offered a $50-a-month plan that spectacularly backfired, a voucher-based partnership with Hollywood Movie Money, and a $30-a-month plan using a debit card, which looked a lot like today’s MoviePass except it cost more. MoviePass may survive. Or its business model may, in the end, be unsustainable. But on a broader scale, the more interesting story may be the way MoviePass alters how people go to the movies — and what that means for an industry that is struggling to survive. Most people agree that there’s one big reason they don’t go to the movies more often: Movie tickets are expensive. 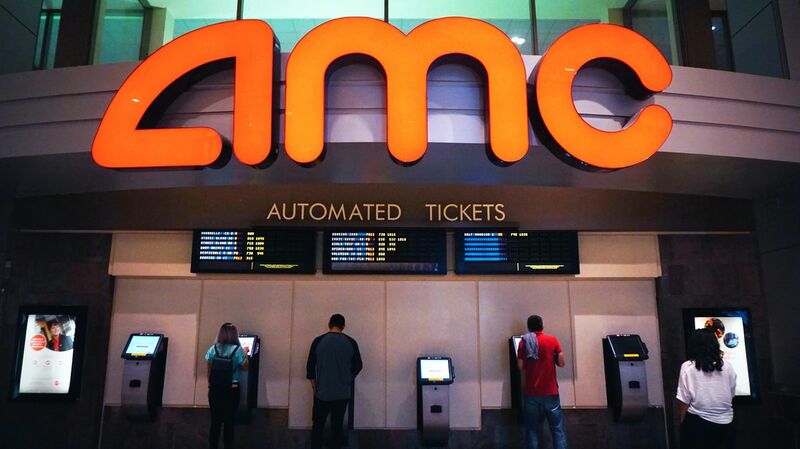 Last August, AMC Entertainment Holdings announced its stock dove 25 percent, citing weak ticket box office. A recent report from the National Association of Theatre Owners showed that the average movie ticket price nationwide had risen 3.6 percent over the past year, from $8.85 to $9.16. That price varies widely across the country. And when you add in the cost of travel, food, and maybe a babysitter, that’s a lot. But someone who paid the $10 monthly MoviePass fee introduced in August 2017 could make back their investment by seeing only two movies per month — and in some markets, where average ticket prices run more like $12 to $18, the cost of a MoviePass subscription is less than one ticket purchase. So it’s not at all surprising that when MoviePass introduced this offer, enrollments shot up — from about 20,000 in August 2017 to 2 million by February 2018. MoviePass reimburses theaters for the full price of the tickets, which means the more people use the service, the more money MoviePass loses — which led a lot of people to wonder how on earth it could be a sustainable business. People have speculated about how MoviePass plans to stay afloat, including leveraging data it collected from users, sponsorships from studios to help push specific films, and strong-arming theaters into sharing profits from concessions. The AMC theater chain, in particular, voiced strong objections to MoviePass, arguing that it couldn’t remain viable and would set unrealistic expectations among customers. And in late April, an external auditor voiced doubt over the business’s sustainability. But for now, MoviePass’s cheap, mostly unlimited plan helps undercut the high cost of movie tickets — which seems to be changing the way people go to the movies. When movie tickets are expensive, people tend to wait until they can go with others — an outing with friends or family, or a date. Moviegoing becomes an “event,” like going to a concert or a play. The “event” nature of moviegoing often meant that people tended to go to the movies on weekends, when other people were free. And some people were deterred from taking a risk on a movie with mixed reviews or that they weren’t sure they’d like. If you’re going to spend all that money, you want to know it’ll be worth the investment. MoviePass effectively takes away the limiting factor of cost. Subscribers pay one monthly fee and can go to a movie every day, if they want, without the risk of investment. Taking away that barrier to entry appears to already be having an effect. In a survey of MoviePass users published in April, the Hollywood Reporter found that the subscription had altered viewing habits for subscribers — sometimes substantially. More than half the THR respondents named specific movies they saw because they had MoviePass. The most popular included big-budget studio comedies Bad Moms Christmas and Daddy’s Home 2, alongside arthouse fare like Phantom Thread, All the Money in the World, Molly’s Game, and Hostiles. Gavin concurred. “I’ve been more likely to take risks and see movies I wasn’t sure I would enjoy, like The Shape of Water and Game Night,” he said. And the MoviePass model is attractive even for those who are inclined to see lots of movies anyway. I have a MoviePass, but as a working film critic I see almost every film at press screenings or festivals, long before they hit theaters. Still, there are times I want to go to the theater — to see a movie with my husband, or to catch a film that wasn’t screened for critics, or to rewatch a movie I haven’t seen since a festival release months or years earlier, or to watch an older film at one of New York City’s many excellent repertory theaters. In the past, the high cost of a New York City movie ticket was enough of a deterrent to keep me away — but now I’m much more likely to go to the theater on the spur of the moment, or because I find myself with an unexpectedly free evening. For MoviePass, though, that spur-of-the-moment system is both a feature and a bug. On the upside, it can mean people take a chance on movies when they wouldn’t have in the past. But one reason people may wait to choose their movie is that MoviePass’s system requires them to be physically near the theater before they “purchase” the ticket — and that can be a problem. MoviePass’s system presently consists of two parts: an app and a debit card. Users have to be within 100 yards of the theater to reserve their ticket via the app. That’s smart on MoviePass’s part: It means that users have to turn on their phone’s location services in order to reserve the ticket, creating data that MoviePass (in which the data analytics firm Helios and Matheson bought a majority stake in August) can in turn collect and use for various purposes. MoviePass debit cards can be loaded with funds and used to purchase tickets at theaters. “In the age of being able to buy a ticket and choose a seat on an app a week before a movie comes out, it’s super inconvenient to have to wait until the day of and go to the theater in person, hoping there will be tickets left,” she added. Several people I talked to also said that MoviePass made them more flexible about which theater they went to. Many favored nicer theaters, with more comfortable seats, or theaters that were closer to home. But if the MoviePass app showed that the film they wanted to see was at their less favored theater, they still were likely to go to that one. One big recent change to MoviePass’s service is the decision that people can no longer see the same movie more than once using their MoviePass. While plenty of people don’t see movies multiple times in theaters, others do — including me — and the change has been a source of frustration. We recently made some updates to our Terms of Service, including the policy that MoviePass subscribers are only permitted to see any movie in the theaters once with their MoviePass. This falls within our continued effort to limit fraud on our app and has been effective in doing so in the past. The company did not respond to further requests for comment. But there are two obvious reasons why MoviePass would enact this policy. One is that people in a household (spouses or roommates, for instance) could theoretically share a MoviePass account, with people trading off days. An update to MoviePass’s app released in late April locks each MoviePass account to one mobile device, making this much more difficult, but it still wouldn’t be impossible. Restricting users to only using MoviePass for a movie once, though, makes it even more difficult, discouraging would-be sharers. And because MoviePass is reimbursing theaters for the full price of each ticket, it has a vested interest in making sure a person can’t see the same movie every day — it costs them money. (If you think that’s unlikely, don’t forget how many times people went to see Titanic back in the day, or how many people were planning repeat viewings of Black Panther before it even came out.) 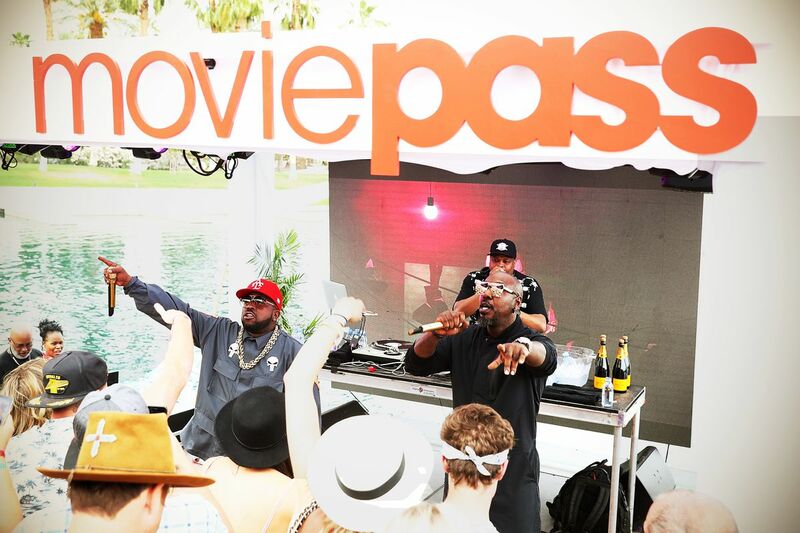 A finite number of movies are available in theaters at one time, and so by restricting the number of times a user can see a movie to one, MoviePass potentially cuts down on the number of times a subscriber will use the pass each month. Still, while that kind of policy might drive some subscribers to see a wider variety of films, the new policy could also be annoying for the sort of cinephile who wants to rewatch the same movie over and over while it’s still on the big screen. The net effect, in all likelihood, is that some of those people will now simply not see the movie again a second time, because of the high cost of buying a movie ticket. Why not go see something else instead? 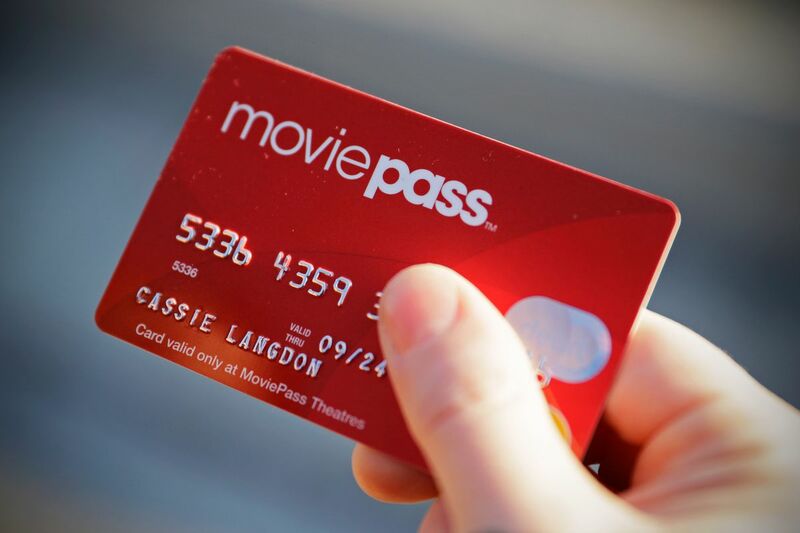 But MoviePass’s continued popularity despite its many changes to its model indicates that the real need for change might lie with the movie theater business itself. Subscription models — in large part prompted by Netflix’s DVD-by-mail service, which killed Blockbuster — now drive home entertainment. People don’t want to pay a per-viewing fee to rent or buy media anymore. Netflix, Hulu, and other services trade on the idea that you should be able to get your movies and TV for one fee per month, something you are happy to pay because it’s predictable. Millennials in particular love the subscription model, something that retailers are taking note of as the demographic grows in buying power. A study conducted by the payments processor Vantiv in 2017 found that more than 70 percent of millennials have a product subscription and 89 percent a service subscription — a reaction, they suggest, to being “bombarded with an abundance of choice,” and a percentage that far outpaces boomers and Gen-Xers. Rapper Big Boi performs at the MoviePass x iHeartRadio Festival Chateau in La Quinta, California, on April 15, 2018. I’m 34, which makes me a millennial; among my subscriptions are streaming music, film, and TV services; several magazines and newspapers; a coffee roastery that sends me a pound of coffee every two weeks; and a subscription to a software suite from Adobe that would be too expensive to purchase outright and constantly upgrade. Others I know maintain subscriptions to vitamin and health supplement providers, razor manufacturers, and wardrobe rental services. MoviePass fits right in with the subscription economy, and in a demographic that advertisers are eager to reach — something the company likely hopes to capitalize on. And the numbers seem to make one thing clear: Given a subscription model for tickets, people are more likely to go to the theater. For a struggling theater industry, that could be a boon. The National Association of Theatre Owners recently indicated that the number of tickets sold in the second quarter of 2018 fell 6 percent from the first quarter, and that US movie admissions in 2017 fell 6 percent, for the lowest earnings since 1995. The industry is in trouble, and it doesn’t seem like adding comfier chairs and better food is going to save it if à la carte ticket prices keep going up. So it makes sense for a subscription service to evolve to compete with that older model. And even if MoviePass fails, the model it’s operating on is already being tested by other theaters. Some cinemas (especially small and independent theaters in locations that have a devoted filmgoing audience) have started membership programs that give subscribers access to discounted or free tickets and other special events. The movie theater chain Cinemark announced a membership program of its own in December: For $8.99, members received one free movie ticket per month (with unused tickets rolling over into the next month), discounted ticket prices, reserved advanced seating, and a 20 percent concessions discount. Independent theaters, like Chicago’s Music Box Theatre or New York’s Metrograph, have introduced membership programs of their own. Some of those benefits don’t measure up to MoviePass’s one-movie-per-day model, but some of the other benefits may be attractive to regular customers, like being able to reserve tickets ahead of time (instead of having to be within 100 yards of the theater). Still, what’s not yet clear is whether MoviePass’s model, or anyone else’s, can save the movie theater industry. For most people, prices are still just too high — a symptom of a struggling industry that MoviePass treats but doesn’t cure. But if MoviePass can’t figure out how to turn a profit, it will eventually crash. If it can figure out how to turn a profit, it may still cut into theaters’ bottom line. And even if MoviePass implodes, some other company may come along to disrupt the business. All that’s sure about the movie theater business’s future is that nothing is sure. What’s clear is that MoviePass represents the first act in an ongoing cultural shift in how we see movies on the big screen. But to know the future of the movie theater business, we’ll have to wait and see how the second act unfolds.